We have a new Subscriber Exclusive Freebie for you! 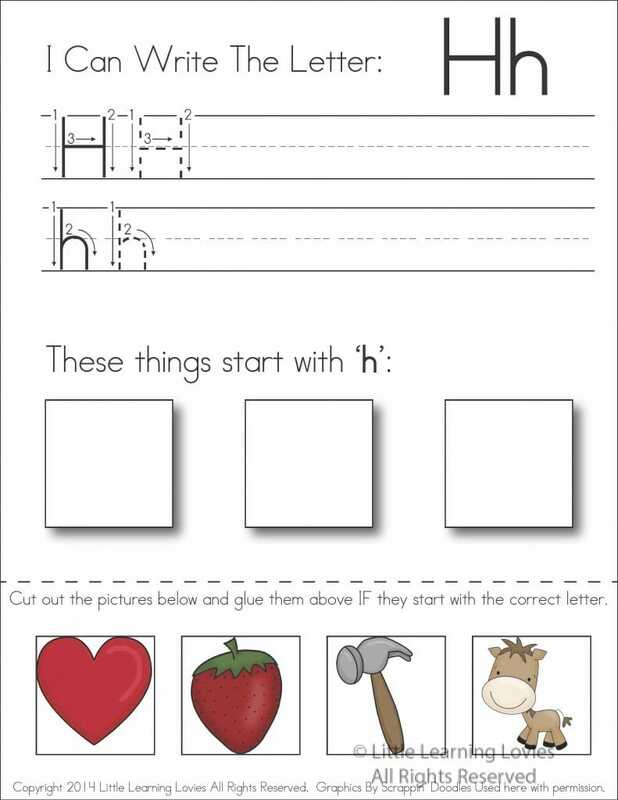 It’s time to start letter H with our Letter H: Write, Cut & Paste worksheet. You can find all the goodies for previous letters here, if you missed them. Baby Mattress Topper by Bebe Owl! Dear reader, I know you’re hear today for a free printable for your little preschoolers. But maybe, like me, you have a preschooler AND an infant in your home or your expecting one soon. Maybe you have a friend who is about to or just had a baby? 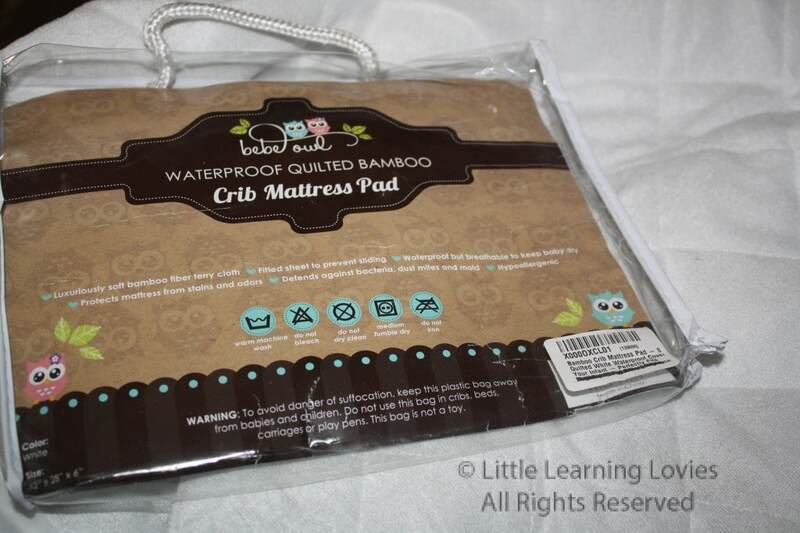 If so, I have to tell you all about this bamboo mattress pad from Bebe Owl. Here’s the mattress pad before I put it on the crib. The packaging is super cute and would make a great baby shower gift. See how plush the pad looks? It feels even better! The moment I opened the package I was impressed. It wasn’t stiff or crinkly like I expected. It wasn’t flat and plastic feeling. Okay.. not just soft. When I opened the package (which is quite lovely, by the way, and perfect for giving at a baby shower!) this waterproof cover felt plush. And indeed, when I put it on the mattress and then covered it over with his fitted sheet, his mattress was MUCH more comfortable. Even he thought so! He took a nice long nap there for the first time. He never likes to nap in his crib, preferring my bed or, well, me. I’ll admit, we haven’t been able to test out it’s effectiveness for dealing with leaky diapers yet, but it sure does a great job of wicking away drool and spit up! Instead of waking in an unpleasant puddle (eew.. Sorry about that visual!) he wakes up dry and happy. I want to encourage you to try this pad if you haven’t yet. 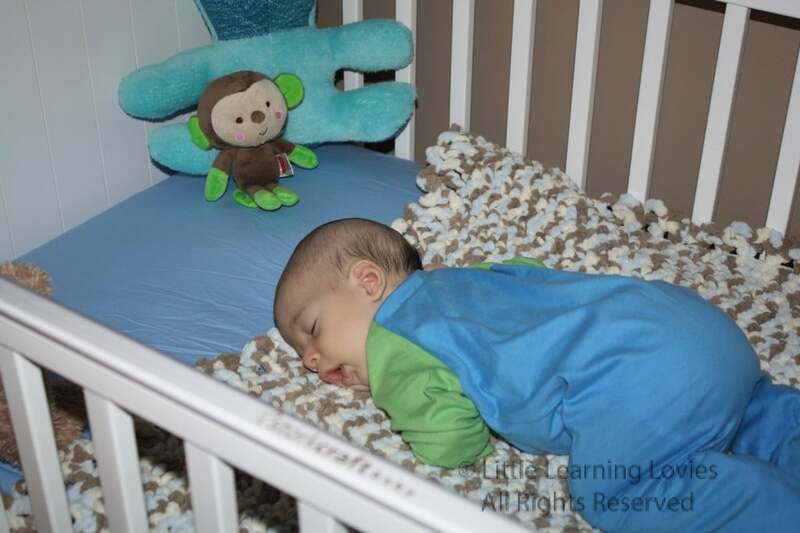 I’m so grateful that we have the Bebe Owl Waterproof Quilted Bamboo Crib Mattress Pad to help keep our little one comfortable and I’m pretty sure you’ll be glad to have it too!